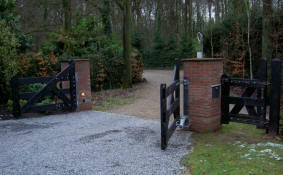 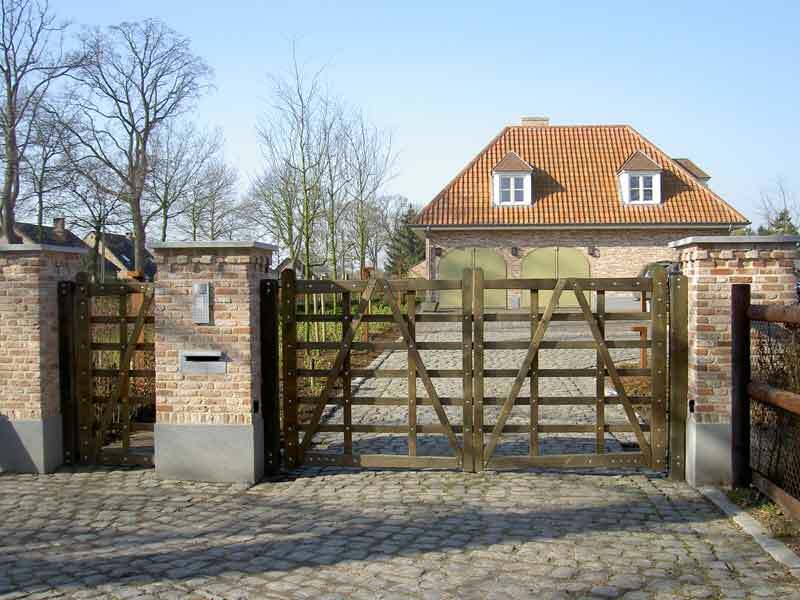 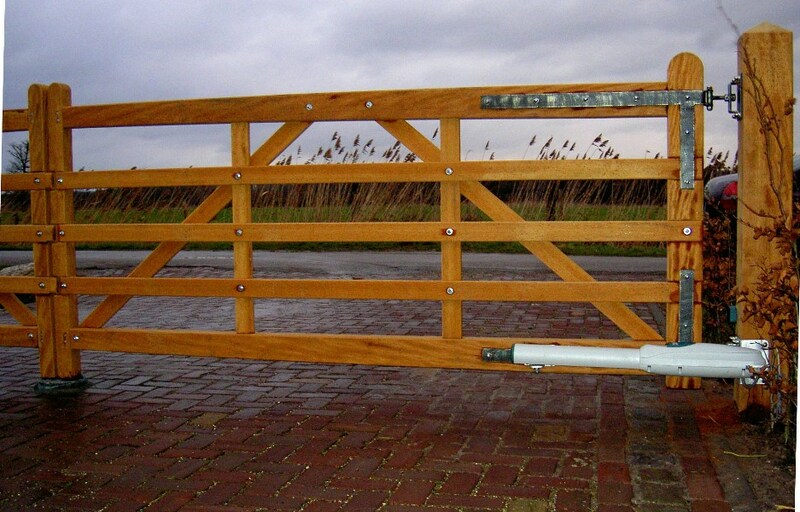 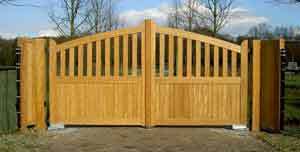 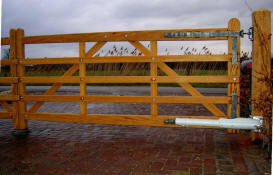 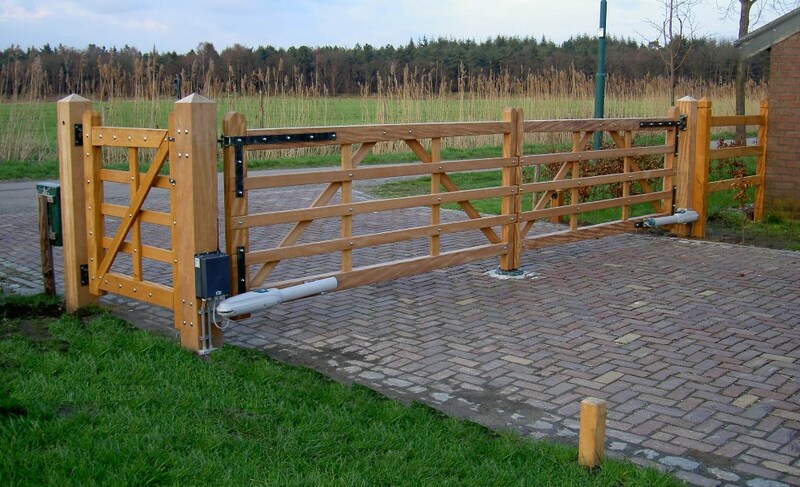 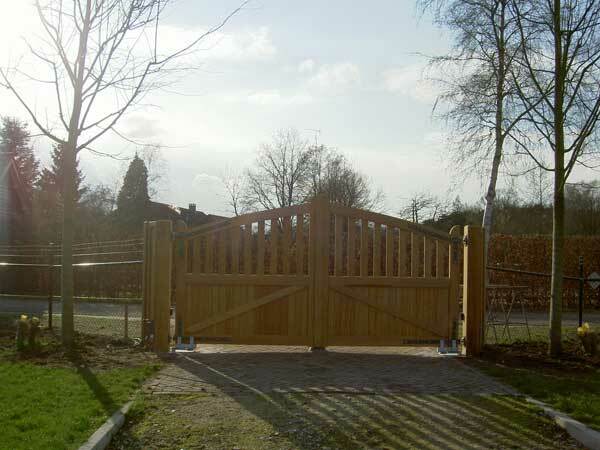 All wooden gates can be supplied to be electronically operable. 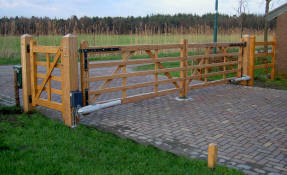 These automated gates can be operated by carry-on transmitters, pressure buttons and optical laser. 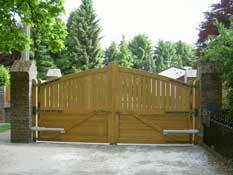 Systems are secured from burglary and obstruction when closing and against possible power outage. Furthermore optional expansion with extra’s such as pressure buttons, optical laser, voice phonics, video phonics, (digital) codes, time locks and so on. 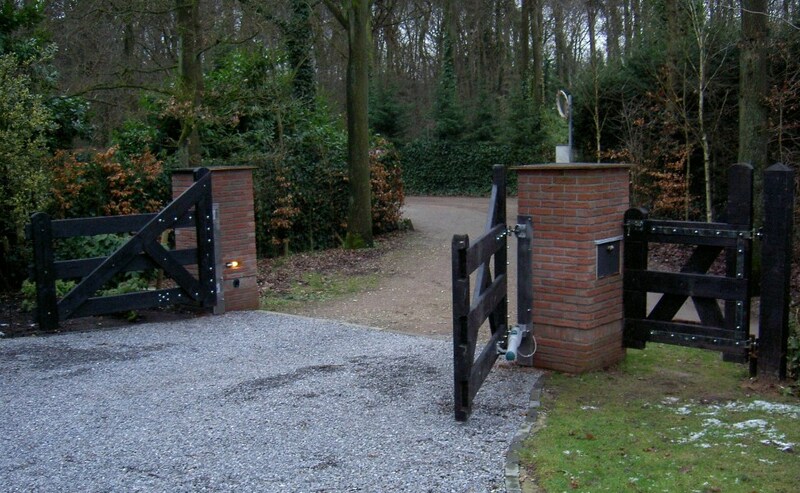 Ask for the alternatives.